Costa Rica Events - There is Always Something to do! With events and festivals year-round, there is always something to do! After you’ve relaxed on the beach and hiked through the cloud forest you can attend one of the dozens of festivals or events hosted in Costa Rica all year long. You will never be disappointed by the variety of concerts, music festivals, holiday celebrations and parties held throughout the country. Attend the Palmares Festival in January to see bullfights and horse parades or make your way to the coast of Uvita at the end of February for Envision Festival, a life-changing, environmentally friendly music festival. Keep reading and click the links below to learn more about the festivals and events Costa Rica has to offer. More than just stunning beaches and amazing jungles, there are all sorts of festivals and events taking place in Costa Rica all year round. Some of these Costa Rica Festivals are advertised outside of the country to international travelers such as Envision and Palmares. There are many different holidays worldwide. And Costa Rica has a few that are completely different from the rest. Find out all you need to know about Costa Rica Holidays! 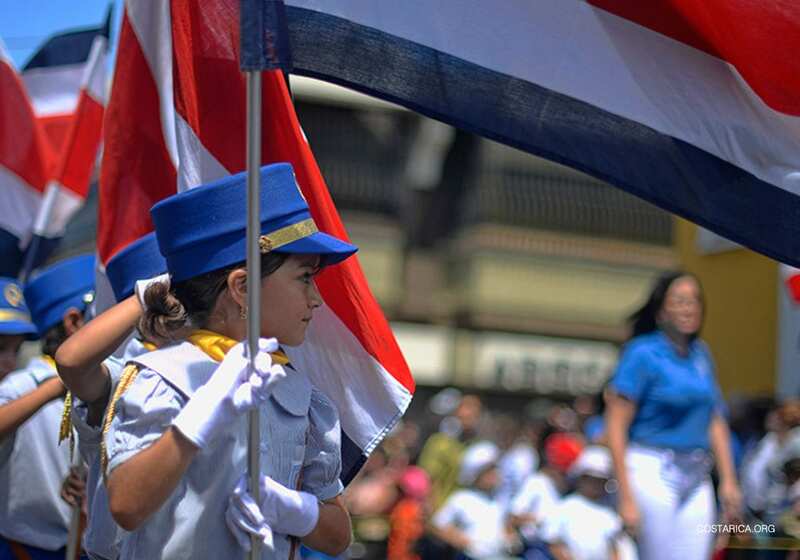 Read more about Costa Rica’s Independence Day on September 15th.